This traditional dish is in Danish called Karbonader or sometimes Krebinetter. I have always called them Krebinetter. However, I must confess after having searched around the internet I think the most common name for this dish is Karbonader. 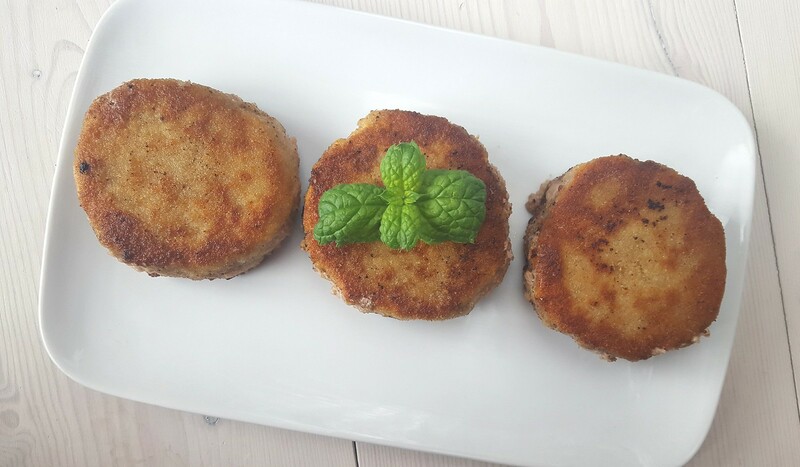 The word Karbonader can’t be translated into English but they can be called Danish Breaded Pork Patties. I am not sure if this dish was originally invented in Denmark. However, it has always been a popular and traditional dish on the Danish dinner table. In the old days these Karbonader was traditional served together with a stew of carrots and green peas. 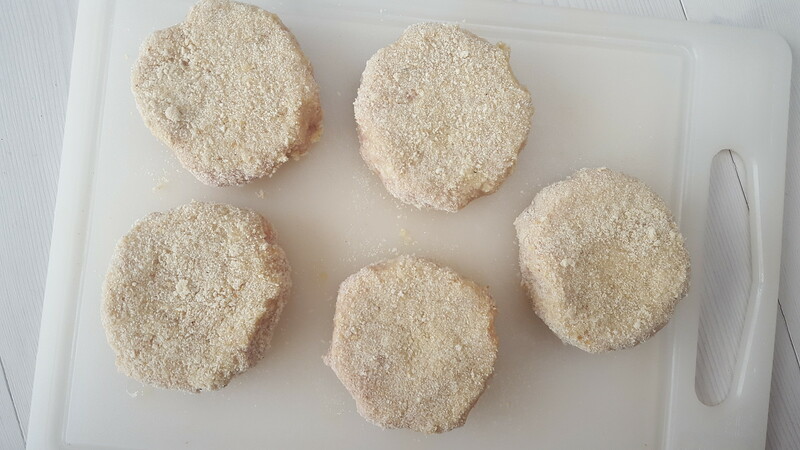 Today, I personally prefer to serve these breaded pork patties together with a nice and fresh green salad and some bread. It is really simple to make Karbonader. In the original recipe the meat used, is a mixture of ground pork and veal. This gives the best and most traditional taste. 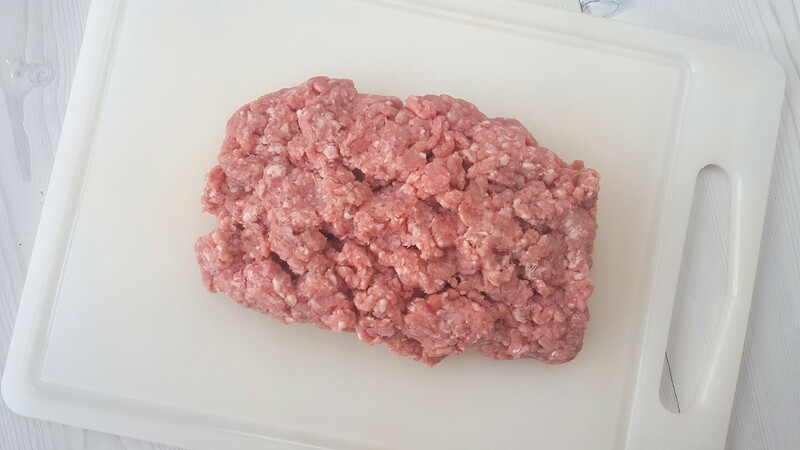 However, I know that it can be difficult to find ground veal meat in some countries. In that case you can also just use ground pork meat with about 10-12% fat. 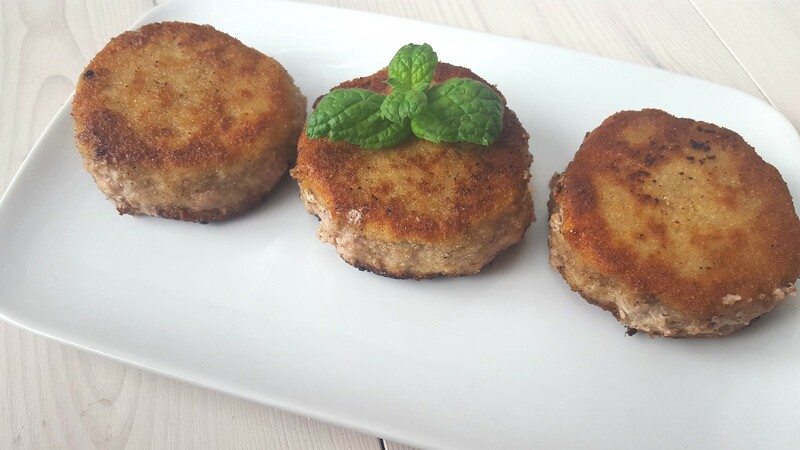 The instructions are simple; shape the ground meat into thick patties, dip them in a mixture of a beaten egg and some water, cover them in breadcrumbs and then finally fry them on a frying pan with some butter or oil. Then you have some delicious Krebinetter. 1. 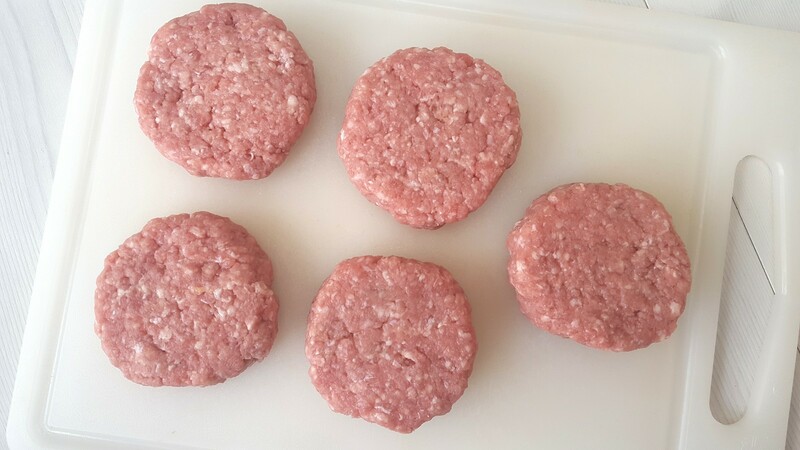 Start by dividing the meat into 5 portions of about 100 g each (or 1/5 lb each) and shape them into circular thick patties. 2. 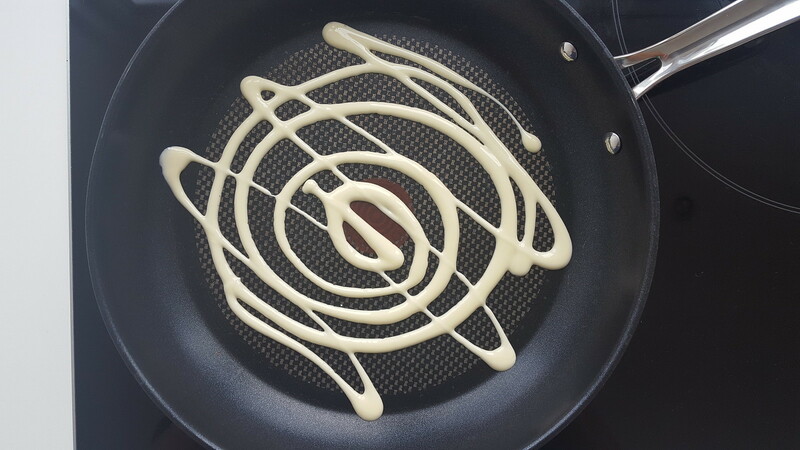 In a deep plate; beat the egg together with the water. 3. 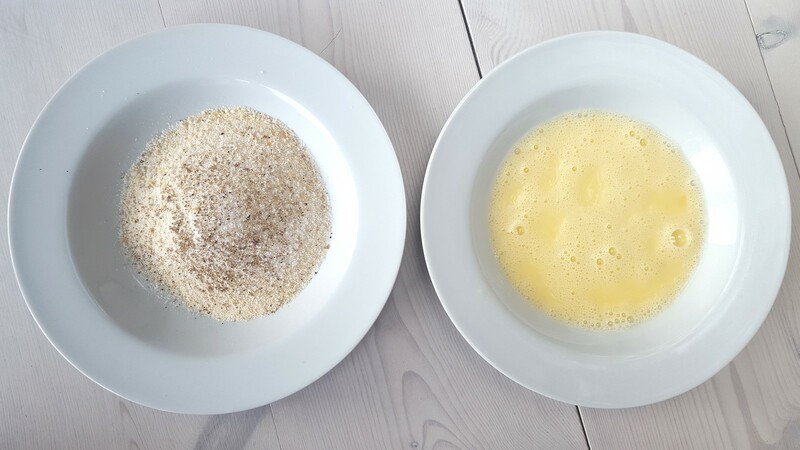 In a second plate; mix the bread crumbs together with salt and pepper. 4. Now dip the pork patties in the egg mixture and then in the breadcrumbs. Make sure the entire patty is covered with breadcrumbs. One time should be enough but if you like a thicker layer of breading – then repeat this step one more time. 5. 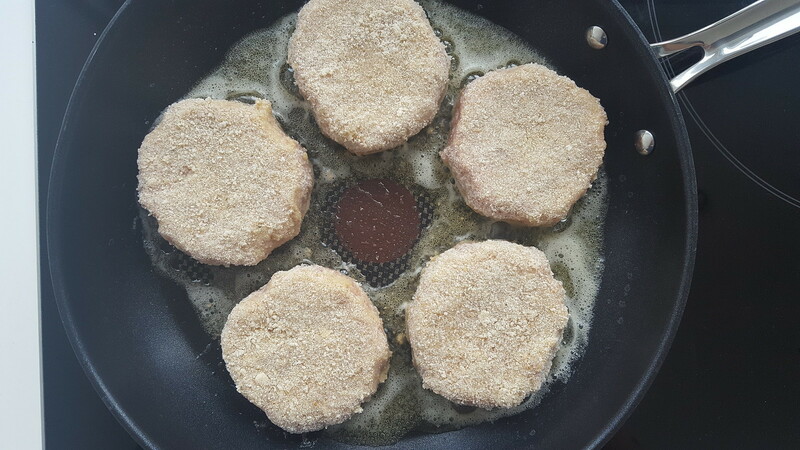 On a frying pan; add the butter and fry the breaded pork patties for about 5-8 minutes. Flip them over from time-to-time. Tip: Serve the Karbonader together with a nice salad and maybe some bread. I made this f/my family, and they loved it! Tastes just like tenderloin. Made these last night. I just used ground pork and used Panko bread crumbs from the store. I grated about 1/4 yellow onion into meat (my hubby loves onion). We had green peas and an apple, celery pecan salad. This is definitely on our MUST HAVE AGAIN list!!! I grew up making and eating these. I too like onion in mine. I have even added garlic, depending on my company. I sometimes use a mix of mainly pork and about one quarter regular ground beef (not lean). I like to serve them with mashed potatoes or peas and carrots with a white sauce flavored by a lot of parsley. I have also served them with mushroom gravy and with fried apples in the fall. They are definitely great cold weather food. Thanks for this blog–it makes me feel at home again. Kim. Greetings from British Columbia, Canada! My Mom (Rigmor) made these quite often and I loved them. To my untrained ear Karbonader and Krebenetter sound very similar. Mom may have used both names. In the recipe you say to use 500 grams (1/2 lb) of pork. Later you say to divide into 5 100g patties, so again 500g. Uhhhhh…sorry, but 454 grams is ONE pound, not 1/2 a pound. So maybe you should change the recipe? 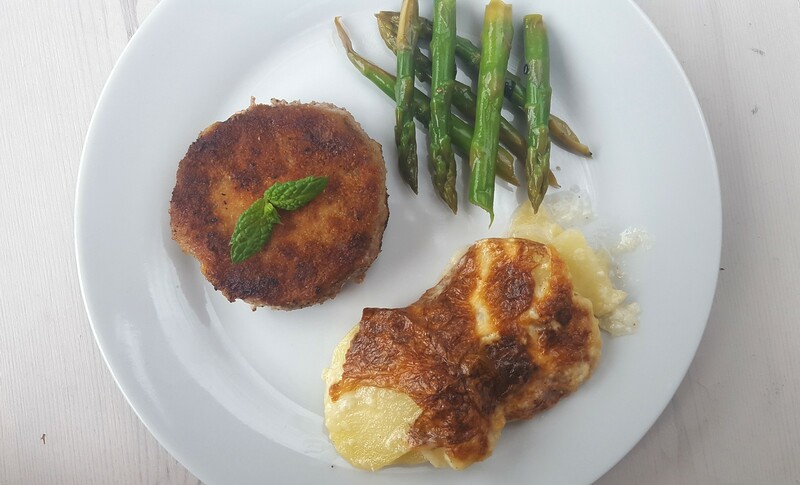 Made them on Saturday using veal instead of pork. Very nice. I was told by a native Danish speaker that in Copenhagen you say Krebinetter and in Jutland you use karbonader.